Over the past few years, worship music has been vastly evolving at an exponential pace. Artists such as Meredith Andrews, Kari Jobe, Phil Wickham, and Kristian Stanfill have risen in popularity and prowess musically, with them being recognised amongst veterans such as Chris Tomlin, Matt Redman, Tim Hughes, Paul Baloche, Crowder, Martin Smith and Stu G; and up and coming bands like Rend Collective Experiment, Leeland and All Sons And Daughters are also impressing critics and listeners. Jesus Culture, Desperation Band, Elevation Worship, Mosiac MSC, Planetshakers and Hillsong UNITED and Young & Free are all injecting a new, unique and fresh musical and worshipful perspective into the worship industry as well. Now we come to Bethel Music, one such band (more like worship movement) that is wowing the hearts and ears of many around the world currently, ensuring that the industry doesn’t become stale. With the group delivering many of my favourite worship albums, such as Tides, For The Sake Of The World, Without Words, Have It All and We Will Not Be Shaken, Bethel Music have recently unveiled their new live record Starlight, recorded live on tour on the Worship Nights tour, pushing the boundaries of worship music, and giving us brand new anthems and songs to sing for the church. Once again only featuring female vocalists, just like the critically acclaimed album You Make Me Brave in 2014, some tracks are indeed simplistic in their lyrics and music, yet there is no doubt that the Spirit of God is upon these tracks, and that on the whole, these new tracks are quite brilliant; the overall musical masterpiece is a treasure that is to be explored over and over. With lead vocalists sharing their voices on the album as Jenn Johnson, Francesca Battistelli, Amanda Cook, Steffany Gretzinger, Kalley Heiligenthal, Hannah McClure, Melissa Helser and Kristene DiMarco all deliver high quality worship anthems; Bethel Music remind us of the power in their live worship anthems, unveiling a very layered and unique album. Starlight is a must for fans of impacting and powerful worship music! Opening with the vibrant title track, we are blessed to hear the exquisite and powerful vocals of Amanda Cook, declaring the praises of Jesus, that ‘…You’re not far away, You’re coming close, and oh, even as I wait, You’re coming close…’, a much needed reminder for all of us that Jesus is with us all the time, even during the times when we cannot feel Him. Driven skilfully by keys, synth and orchestral music, this worship anthem (of which the music could easily be played as a soundtrack to a movie!) is sure to inspire all who listen, as some of us are in our own personal ‘waiting periods’, and need reminding that Jesus is always in our corner. The perfect opener to brighten our moods, an album standout is followed by another, as Francesca Battistelli conjures up a CCM radio friendly guitar and keys led worship ballad in “There’s No Other Name”, emphatically relaying to us that there is no other name than Jesus, that He alone is worthy of all of our praise, because of who He is and all He’s done. Soothing and calming us, reminding us that Jesus is the only truth, way and life, Francesca fervently imparts to us important eternal truths, and a message of Jesus always being with us, that will stand the test of time. Well done Francesca and Amanda for these inspiring two openers. The rest of the 12 melodies on such a musically varied tracklist, are equally as impressive, as many engaging up and coming female vocalists are introduced to us, and veterans reintroduced, each with a reinvigorated take on Jesus’ love for each one of us. “Extravagant Love” stands tall at just over 6 minutes (and 8 minutes on the piano and acoustic guitar driven led acoustic version of the song! ), and is a slower-tempo acoustic guitar led ballad, where Steffany Gretzinger and Amanda Cook powerfully sing out a brilliant duet, showcasing both of the worship leaders’ explosive and God-given vocal abilities. As both Steffany and Amanda ardently remind us that God’s love is beyond human understanding, and that He loved each of us so immensely that He died for each of us (the notion is still unfathomable! ), this melody floors me every time I listen to Jesus move and speak, as we are reminded of the great lengths Jesus went in order to display His love for us. Guitar led mid-tempo ballad “Take Courage”, sung by Kristene DiMarco, is next, which recently released to radio as a 4 minute studio version, as we are glimpsed with an earnest encouragement for us to not be afraid and to keep fighting the good fight, never giving up, as ‘…He’s in the waiting, hold onto your hope as your triumph unfolds, He’s never failing…’, while well-known congregational favourites “King Of My Heart” (Steffany Gretzinger and Jeremy Riddle) and “God I Look To You” (Francesca Battistelli) are each solid in their delivery and ever true message, as we remember through God breathed and Holy Spirit anointed inspiring words that ‘…You’re never gonna let, You’re never gonna let me down, cause You are good, You are good, oh-ohh…’ and ‘…I will love You, Lord my strength, I will love You, Lord my shield, oh, I will love You, Lord my rock, forever all my days, I will love You, God…’. Exquisitely and flawlessly led by Kalley Heiligenthal and written by Josh Baldwin (and featured on his debut album of the same name! ), “The War Is Over” is a no-nonsense in-your-face guitar led inspiring melody of Jesus having overcome death, and winning the war between heaven and hell, also containing plenty of imagery, as this Easter themed song vividly depicts the crucifixion and highlights the fact that ‘…it is finished, it is done, the blood of Jesus overcomes, it is finished, He has won, He has won…’. With the piano pop and acoustic guitar driven ballad “Catch The Wind”, led by Melissa Helser, delving into the notion of us taking risks, and stepping into the plans God has for us- catching the wind so to speak- and moving where the Holy Spirit moves; and the stirring, vibrant and inspiring worshipful anthem “Old For New”, led by Hannah McClure, relaying the fact to us that God is constantly making all things new, that ‘…joy, begin to rise, and hope, begin to light the dark, our God exchanges old for new, dawn, has conquered night, and death, has lost to life…’; it’s clear that these women of God are quite admirable in their faith and love for Jesus, as they make an effort to overtly share the gospel in every word they sing! Veteran of Bethel Music, Jenn Johnson, eloquently and passionately leads the acoustic guitar only ballad “For The One” isn’t as grandiose nor stadium sounding than its predecessors, yet still packs a punch, as Jenn ardently relays to us the fact that it is only Jesus who can help us to love like He does, with a love that ‘…with open arms, like You do, a love that erases all the lines, and sees the truth, oh, that when they look in my eyes, they would see You, even in just a smile; they would feel the Father’s love…’. The album then ends with “You Came (Lazarus), flawlessly led by Amanda Cook, and sung as a celebratory, joyous and energetic party like up tempo melody, ala Rend Collective, and driven by stirring guitars and keys. One of the album highlights, and a fitting song to end the album as we remember that it is Jesus who turns us from dead to alive, just like He did for Lazurus; “You Came” ends the album the same way it began- in joyful celebration to our Lord and Saviour, as we remember that He has won the victory, do we don’t have to fight or do more and be better. We are already forgiven by Christ, how awesome is that! 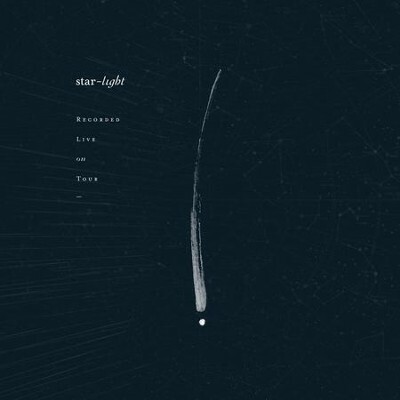 As with the album’s predecessor, when I first heard of Starlight, I was hesitant as I wasn’t sure if the absence of male vocalists yet again, would hinder this project, and make this album inferior to the greatness of You Make Be Brave; however the girls of Bethel Music have once again proved me wrong, with stellar song writing and equally poignant worship leading, drawing people into communion with God. Well done Jenn, Steffany, Melissa, Hannah, Kalley, Amanda, Francesca and Kristene! A brilliant album for a well-respected church and group! Considering how the bar was raised with their previous live album, Bethel Music should be proud of themselves! A must buy on iTunes! Previous PostFor KING AND COUNTRY – O God, Forgive Us (feat. KB)Next PostTop Ten Inspirational and Insanely Enjoyable Peter Hollens Cover Videos!